Procesing:: Images were focused, acquired, calibrated and combined (Median) in CCDSoft. Color combining was done manually. 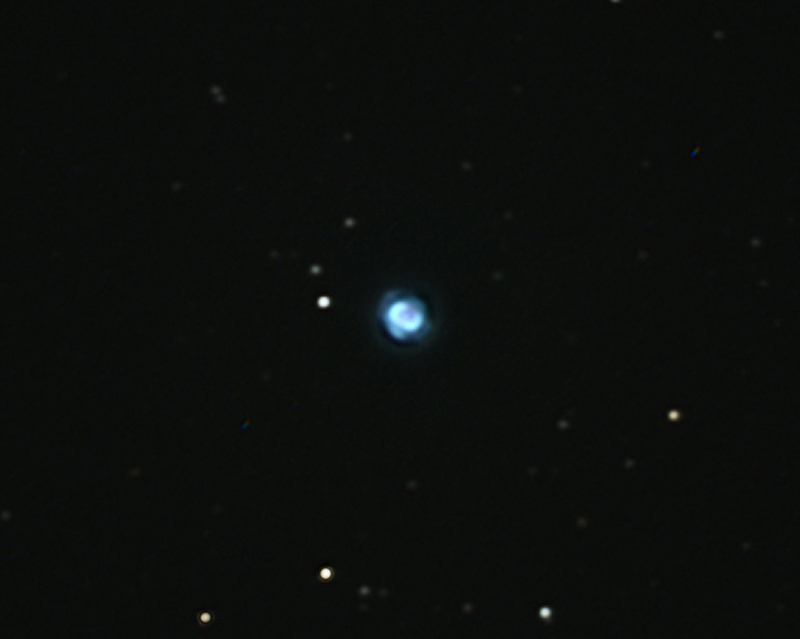 The nebula was so bright that the RGB images needed to be scaled down significantly (despite the short exposures). The luminance and RGB images were combined and adjusted (Curves) in Photoshop CS. Location: My backyard observatory in southeastern Minnesota.